A Silicon Valley native, David Bluhm graduated from the University of California at Berkeley. He obtained graduate degrees in international relations at the Fletcher School of Law and Diplomacy. After five years in investment banking with Bank of America in Caracas and London, he returned to the University of California at Berkeley, graduating from Boalt Hall. David commenced his law career handling commercial transactions in the Singapore office of Graham & James, a San Francisco based international law firm that eventually merged into Squire Patton Boggs. He returned to their San Francisco office and after two years joined Baker & McKenzie, then the world’s largest law firm. After 11 years of practicing in law firms, David joined Harris Corporation as the division counsel for three separately operating divisions in California. There he addressed the legal issues facing a wireless telecommunications equipment manufacturer, a telephone switch developer and a division focused on hardware and software tools for the telephone industry. 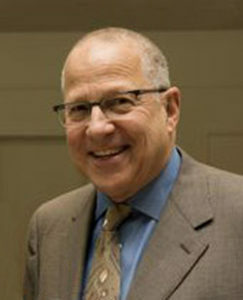 David started his solo practice, in the late 1990s, to provide legal services to the new wave of technology companies. Enjoying a long relationship with Harris, he also worked with other players in the telecom industry, including modem manufacturers and software developers. His practice expanded with his clients’ businesses, and by 2001 he was handling all of the “hosting”, or what is known today as “cloud”, agreements for PeopleSoft, one of the largest enterprise software companies at the time. David also assisted CallidusCloud as an interim general counsel and worked as lead lawyer for several smaller companies, handling the daily business transactions that all active companies encounter. In 2000 David was invited to become the general counsel of Remedy, a publicly traded enterprise software company. He managed a staff of 10 until a larger company made a successful offer to acquire Remedy. He returned to his solo practice.